As much as I did love that extra hour in bed this morning I'm no fan of Daylight Saving. I have to admit, I do prefer the lighter mornings but I hate that it gets dark so early. Can't we have light mornings and evenings all year-round?! This month there were a couple of things that made me sad but happy at the same time. You can't have missed "Me Too" sweeping across social media. What has now become a movement, was originally started by Tarana Burke 10 years ago and has become a way for users to tell their experience of sexual harassment & assault and stand in solidarity with other survivors. It's sad to see so many people using #MeToo but it's also inspiring to see people, mainly women' taking a stand and bravely sharing their experiences. It was Mental Health Awareness Day on 10th October and, as someone who has been dealing with a few challenges get recently, I've been amazed and so grateful for all the support I have received since sharing a little of what has been going on with me. It's refreshing and exciting to see how fast Mental Health Awareness is moving up the agenda, it's just as important as physical health and we all need to remember that. It's ok not to be ok and don't be afraid to share with your friends, family & colleagues, you might be surprised at how much support there is for you. 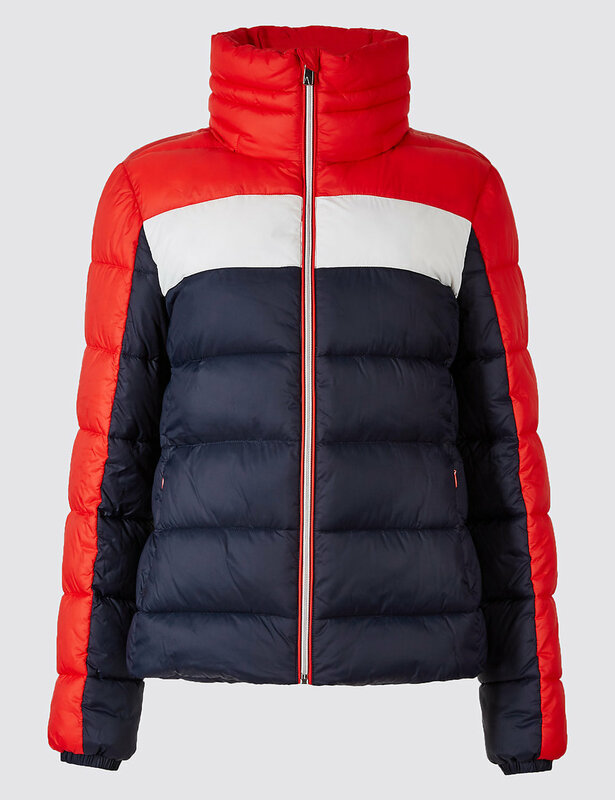 Sports-luxe with a vintage edge, this lightweight, down jacket has a concealed hood, perfect for the unpredictable British weather. Designed for on-the-go you, it's got a media channel to weave your headphones through that minimises tangling. And it of course keeps you dry with its clever water repellent technology. I recently discovered Bobbi Brown's Soothing Cleansing Oil and have been using it every single day! It gets rid of all my make up, even waterproof mascara, so I use it as my first cleanse. It's made with Jasmine Flower Extract plus Kukui Nut Oil to soothe skin and a moisturising blend of organic oils—including Sunflower, Olive and Jojoba—to dissolve surface impurities and makeup without leaving skin feeling tight or dry. I pump the oil into dry hands and smooth over my face, using the heels of my hands to gently rub the product into my eyes. I then splash warm water onto my face and massage into a slight foam to help dissolve an last traces of makeup and dirt. Finally, I use warm water or a muslin cloth to wash it off. I follow this with a second cleanse either using Oskia Skin Renaissance Cleansing Gel, Aurelia Miracle Cleanser or Glossier Milky Jelly Cleanser depending on how I'm feeling! Immediately after cleansing, I have been using the Bobbi Brown Hydrating Skin Tonic and my skin has been loving it. This skin-conditioning tonic begins to restore and balance skin, leaving it soft, soothed and perfectly prepared for the treatment products to follow. Made with Bobbi's signature Enriched Mineral Water Blend, plus Cucumber, Chamomile, Licorice, Aloe Leaf and Lavender soothe and soften skin. Vitamin B5 softens and conditions so skin is prepared for the next treatment step. I use Bobbi Brown's Hydrating Eye Cream followed by my usual Aurelia Cell Revitalise Night Cream. I had a cheeky long weekend in Mallorca at the beginning of the month and it was lovely, as always. I've been going to Mallorca for years and it really is a lovely island. The days of it just being about Magaluf are long gone and the island is filled with gorgeous scenery, fantastic restaurants and a spectacular coastline. If you haven't visited it recently, you might be surprised. It's also super easy to get to - the flight is less than 2 hours and so many airlines regularly fly there from many different airports. Doesn't get much better than that. On a side note, my flights seemed to be popular with celebs as I saw Gabby & Kenny Logan, Anna Friel and Tim Henman on my flights! Tim, by the way, looks exactly the same and doesn't seem to have aged a bit. I first noticed him as I thought he was a good-looking man, then I realised who it was. Haha!! Last week's post covered all things Glossier and 2 weeks after my products arrived, the cloud paints take their well-deserved place on this month's favourites. Dusk adds that perfect bronzed glow, similar to what you get from a bronzer so it makes a handy product for touching up later in the day when the 'tired look' starts to hit! Whilst Haze seems super bright and scary, I love the flush it gives but you really do only need a little bit. Sunday nights are all about The Last Post. 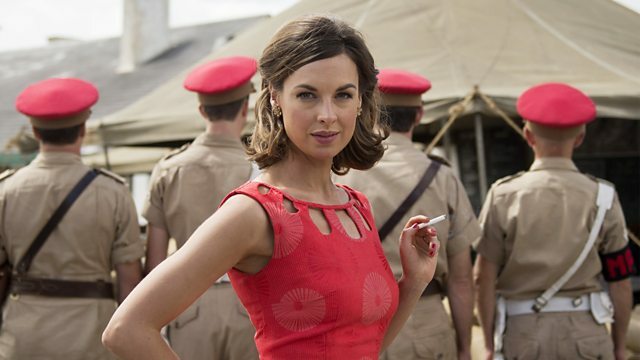 In case you haven't seen it, in a nutshell, it's a drama series set in the mid-sixties, in which a unit of Royal Military Police officers and their families deal with the challenges of politics, love and war in British-controlled Aden. So that's it for my October favourites. I hope you enjoyed reading and might even give some of the things a try. I would love to hear from you if you do or if you have favourites I should try, so do get in touch.